We recently got an email from a reader who was new to RVing, having never driven anything larger than a minivan. 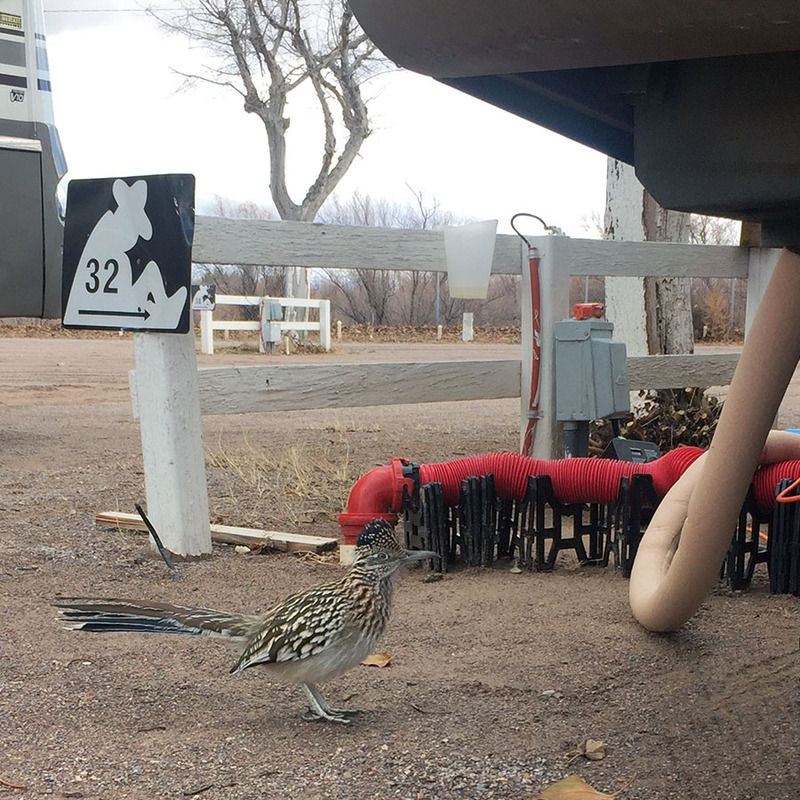 He had some really great questions about what to expect when driving the RV for the first time and setting up at his first campsite. It wasn't so long ago that we had similar questions ourselves, so we've decided to build on our responses and make them into a resource for others. Driving Question 1: What if I've never driven an RV before? It will definitely be different from driving a minivan because it's wider and longer, but you'll get the feel for it. Take it from me, a girl who drove nothing but tiny hatchbacks for a decade and a small SUV for a year before upgrading to a dual-rear-wheel Ford F-350 towing a 36' fifth wheel: you can do it. Here are a few pieces of advice to help with the transition. Before you drive, walk around your new RV to see if you can find a reference point on the body above the back wheels. On motorhomes, there is usually an orange light or reflector. Then sit in the driver's seat and locate the same reflectors in your side view mirrors. 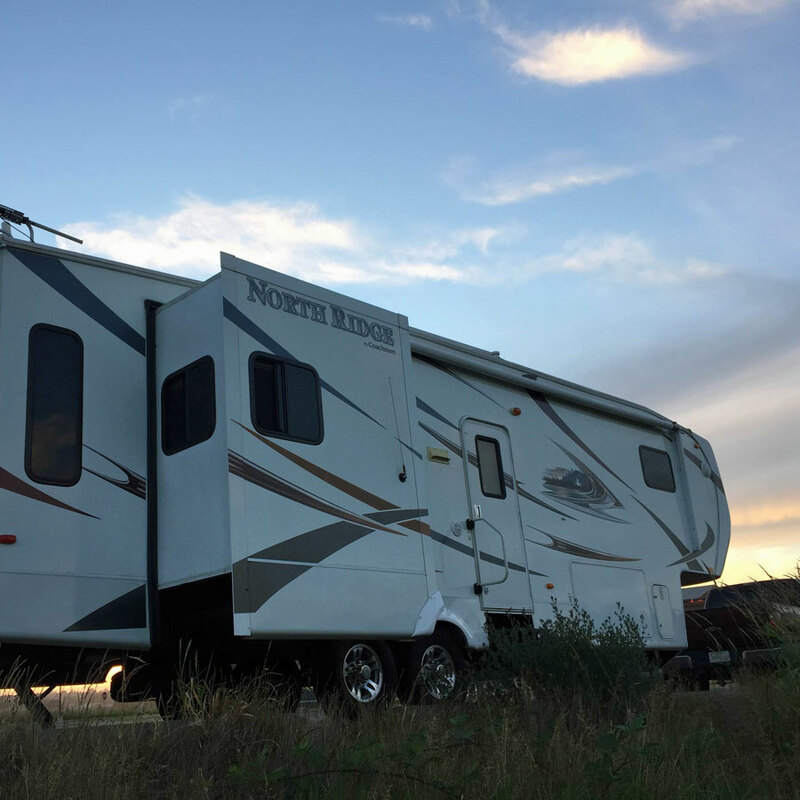 Whether you're driving a motorhome or a towable like a trailer or fifth wheel, just remember that when the last axle has passed the obstacle (the median or corner, etc. ), that's when you're safe to turn. 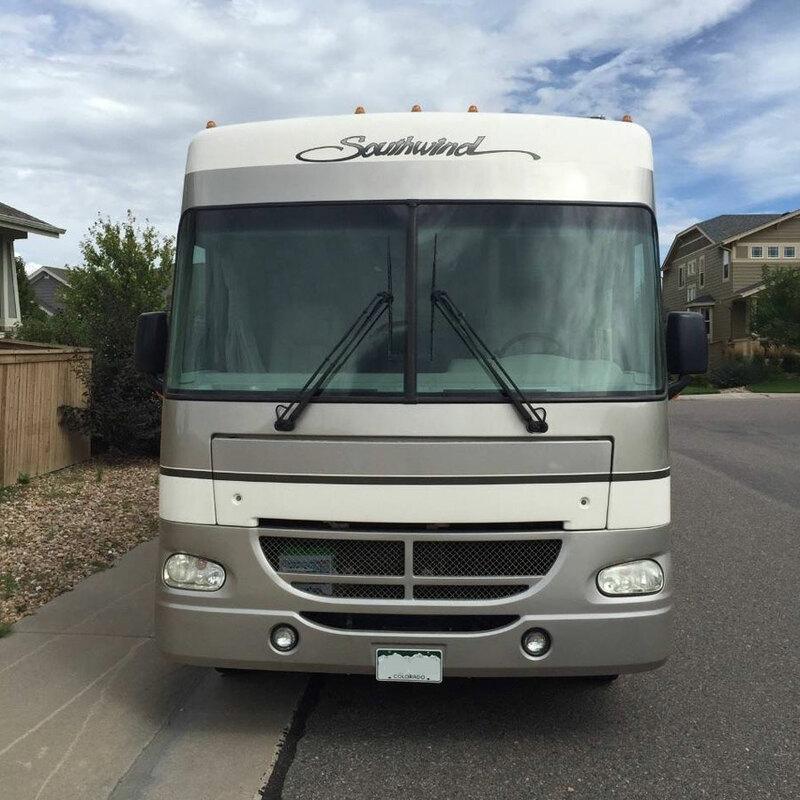 If it's possible to drive around a large empty area like a school or church parking lot before getting too far down the road, this will help you get a feel for the RV. Go around light poles and test your turning radius. This'll give you a confidence boost. Driving Question 2: How fast can I safely drive? Maximum speed depends on your tire rating. Ours are rated for 65 miles per hour, but you need to inspect the info on your sidewall to make sure. You need to look there anyway to check for a few other things. Make sure they say "DOT" for Department of Transportation. This means they're approved for sale in the U.S. and aren't a cheap import. Also, there will be a 4-digit code on the sidwall that will tell you when the tires were made. The first two digits are the week, and the second two are the year. For example, 0612 would mean the tires were made during the sixth week of 2012 - in mid-February. If the tires are more than 6 years old, and/or if they look rough with low tread, they need to be replaced. Bring a trucker tire gauge like this one to ensure the tires are properly inflated, because there's no faster way to have a blowout than driving on underinflated and old tires. If you need to air up the tires, we suggest investing in a high-quality air compressor. In fact, we had a blowout on one of our back tires on its second-ever trip... we were on the way to get the tires replaced when it happened. Driving Question 3: What about driving speeds in the wind? Use your intuition. If you feel the wind kick you around, slow down until you don't feel it anymore. If you can drive on roads with passing lanes that allow cars to easily get around you, that's ideal. Remember it won't be as easy to pull off the road in an RV because you slow down like a train. Only use pullouts if you feel you can safely stop. Driving Question 4: Any other driving considerations? You have to think in three dimensions now. You're not just driving along a road; you're also watching for overhangs and tree branches. 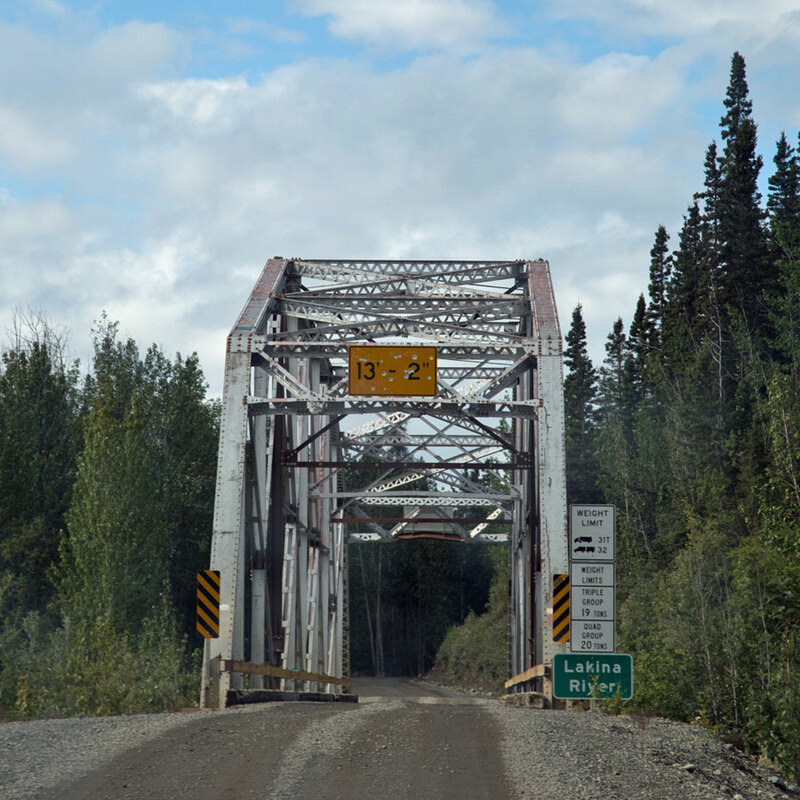 Until you know you're official height, check your route ahead of time to ensure you won't encounter any low overpasses. Bear in mind that the official height listed on your brochure might not be accurate if any modifications have been made to your RV's roof. Also, always give yourself a buffer of at least a few inches when approaching an overpass just in case the sign is inaccurate. Our first rig was 13'6" and wouldn't have made this. The second one is 11'11" and would have no problem. Camping Question 1: What dumping supplies do I need? Dumping the tanks isn't hard, but every RVer seems to have at least one disaster story, so don't worry if you mess up. You'll just have something to share around the campfire later. 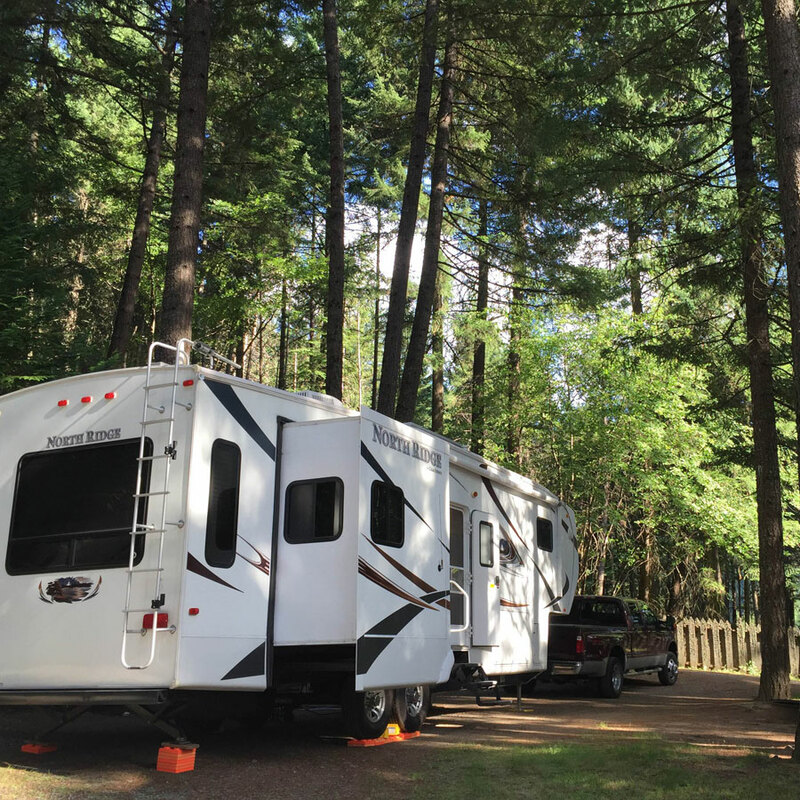 Bring gloves, NEW and sturdy hoses that fit your RV's sewer connection, a clear connector that goes between the RV and your hose, septic-safe toilet paper (we use Angel Soft), and black tank chemicals. Before you use your hoses, make sure to tighten them at all joints and connection points. We made that mistake exactly once. Camping Question 2: What's your campground set-up process? Everyone has a different strategy, but here's ours. This pertains to parks with full hookups, meaning water, sewer and electricity. 1. Stop in the campground's designated registration area, go inside and get checked in at the office. 2. Head to your site. Disconnect from your truck, or disconnect your toad (towed vehicle) if you have one. Level and stabilize your RV. Pull out the slides. 4. Plug into shore power. 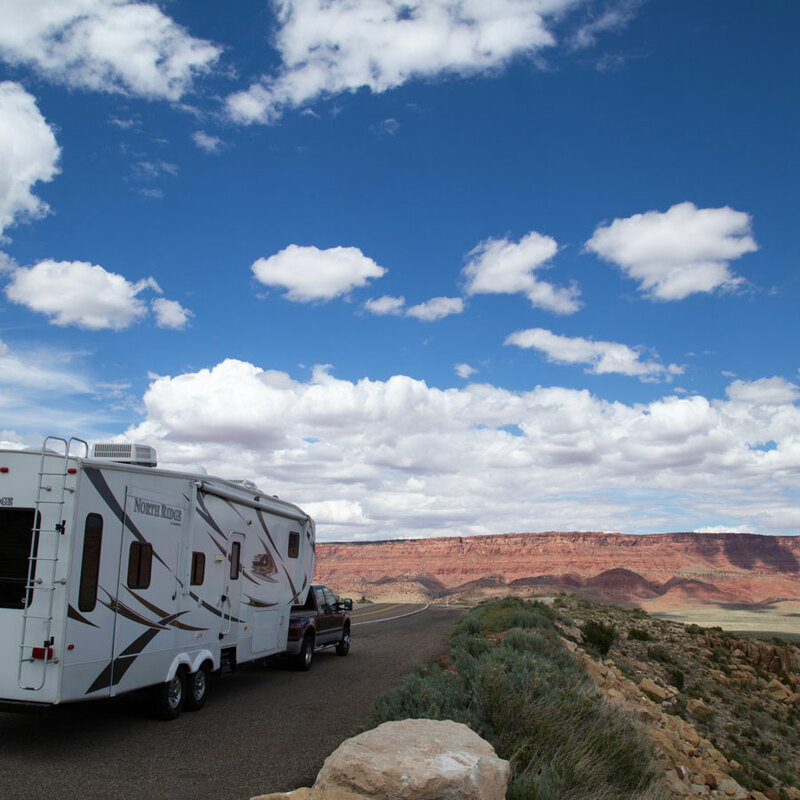 You may want to invest in a portable electrical management system that will protect your RV. 5. Attach a water pressure regulator to the water pump, then attach your hose to the regulator. If you have an inline water filter, connect that between the regulator and the hose. Connect the hose to the city water input on your RV. Make sure your water is configured for city water use and turn on the spigot. 6. Make sure all sewer hose pulls are shut. Put on gloves. Attach the clear sewer connector to your RV's sewer outlet, then screw your sewer hose onto the connector. Secure the other end of your sewer hose to the sewer line in the ground. You may want to use a hose support to ensure your wastewater is flowing downhill. Take off the gloves and wash your hands. 7. Open the grey tank valve. We like to use gloves when handling the RV hoses and hose support, but not on the convenience panel or valve pulls. Leave the black tank valve closed. 8. Have a great time camping. 9. Close the gray and take your last shower or wash some dishes. 10. Open the black tank valve and let the black water go down into the sewer. Check the tank level at the monitor; if it reads anything other than empty, plug up the valve again and use your sewer rinse line or a hose down the toilet to fill the tank again. Then dump the black once more. It should clean out this time; sometimes, tissue paper gets hung on the sensors, giving an inaccurate reading. 11. Close the black tank valve and open the gray valve. This will rinse out your hose for you with (relatively) clean water. Close the gray valve. 12. Put on your gloves. Rinse out the sewer hose with fresh water, and put the hose, connector and hose support away. Screw back on the cap to your RV's sewer output and put the cap back on the park's sewer input in the ground.Take off your gloves and wash your hands. 13. If you're going on another trip soon, go ahead and flush a new set of black tank chemicals down the toilet so you don't have to think about it in the future. Have more tips for first-time campers? Let us know in the comments!